Max has a mad neighbour called Mrs Logan. Paul tells Jim he'll make all his own decisions from now on. Daphne has a bad experience at a party. 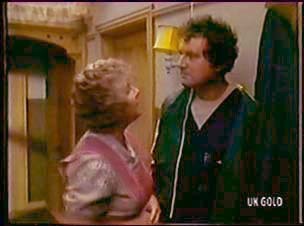 Max tells his fellow tenant Edith he's having trouble sleeping because of the rock music next door. As Edith leaves, Jim turns up. 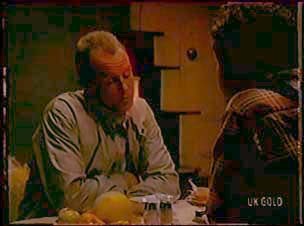 Jim thinks Max's bedsit is a lonely place to live. He tells Max about his fight with Paul. Jim can't understand why Paul won't finish his Uni course before taking the job with the airline. Max tells Jim that he's seen Shane and Danny, and he's having dinner with Maria tomorrow night. He can't tell Danny the truth though. Daphne is worried about Des and Paul. Just then they come in. They are pretending to be injured, but they're actually fine, they've just been to the party. Daphne is appalled, but starts laughing along with the boys and Shane. 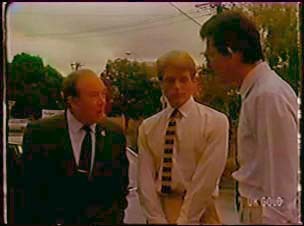 Paul tells them how Greg was taken away by the police. DAPHNE: Here I've been, worried sick, while you two are out scoring! Daphne tells them she's made up her mind - she'd be mad to leave behind so many chivalrous men(!) - she's going to stay on. When Max turns back to his door, he finds he's locked himself out! Julie is telling Jim about Greg and the party. 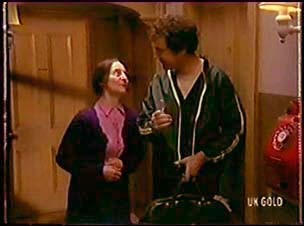 Helen asks Jim if Max is really alright, but Jim says Max is doing better than they are, having a nice dinner with his fellow tenant. HELEN: Any complaints about my cooking should be passed on to the Budget Committee! 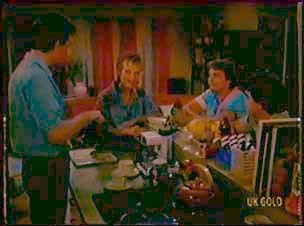 Paul comes into the kitchen and tells them all that he's got the job with the airline - he's going to start training very soon. Jim isn't pleased. 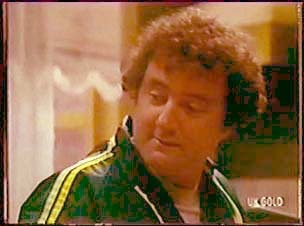 Paul says now he's earning he could move out. Helen wants a truce between Jim and Paul and they reluctantly agree. 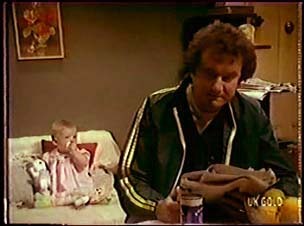 Des sees Greg having a row with his father. He's ranting at him about the police incident. Mr Arnold tells Greg that he'd better have another look at the Credit Analysis program, since it's caused so much trouble. The building of Max's bedsit. Max's friend Edith knocks on another door - belonging to Steve O'Donnelly, who has just moved in. She explains she is the unofficial concierge and does some cleaning for a lot of the apartments. 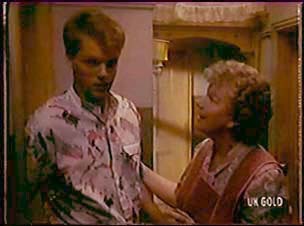 Steve is a bit shifty and Edith thinks he has a young girl in the flat! He looks even more shifty and goes back into his flat and shuts the door. Max is just off to work when Edith comes round. He's in a foul mood brought on by his lack of sleep. She tells him about the new neighbour, Steve, saying he is very nervous and edgy. Max says anyone would be a nervous wreck living in that block! EDITH: I get the feeling he's hiding something. MAX: As long as he's quiet, I really don't give a damn! Danny has got another puncture and is trying to find the hole in the tyre in a sink full of soapy water. Paul comes round and tells Shane and Danny about his new job. Danny says it's a bit of a dead-end job. He says that he wouldn't toss in an engineering job to become a glorified waiter. Paul isn't pleased. Julie is watering the plants. Des has told a couple of the girls what happened at the party. Greg comes out and says he's decided to withdraw his services from the bank! DES: Don't worry mate, we'll muddle through somehow! He invites Julie to another party. She scowls at him. 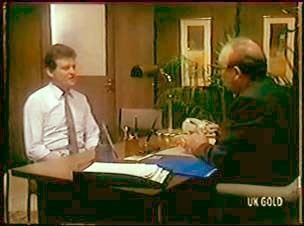 Des is called in to see Mr Arnold Senior. Mr Arnold tells Des that he'd appreciate his discretion about the party. He tells Des that Greg has left and that he himself owes Des an apology. It was Greg that made the mistakes with the Credit Analysis programme - not Des. He apologises. He also apologises for commenting on Des's private domestic arrangements. Des thanks Mr Arnold for his apology but says he's too late. He hands him his resignation. Steve sees a policewoman outside and looks very shifty. 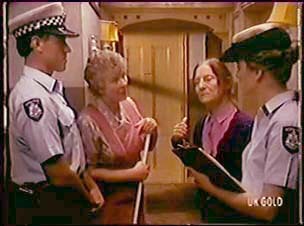 Mrs Logan waylays the police to tell them that Max is a criminal(!) Edith comes out and says it was actually her that called them - the people from number 18 have done a runner with two months' rent outstanding. Apparently their description matches criminal records. They want to talk to Max to find out if he knows anything. 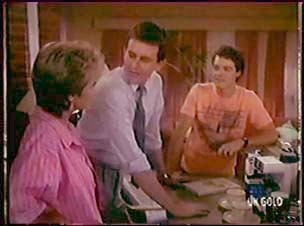 Des tells Daphne and Paul that he's quit his job. They're horrified, but Des says he's found a better job, selling Real Estate. He says he fancied a career change. Max has come home and Mrs Logan is having a go at him again. She's obviously batty. Max finds solace in his room and sits down to read his paper. He hears a noise and when he turns around, sees a baby girl sitting on his bed.